Topps’ Ultra Premium offering, Tier One Baseball, returns this year with the same configuration as last year. 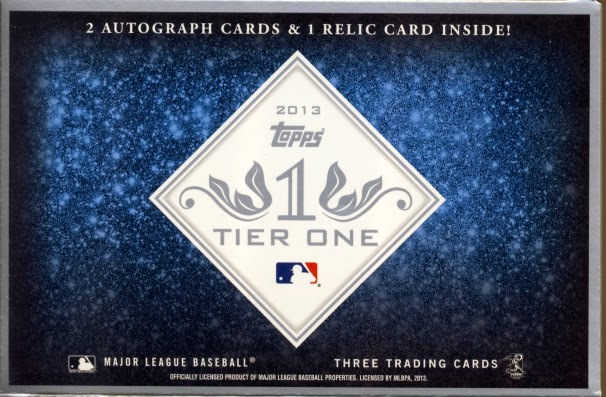 Not everyone gets the chance to open one of these types of boxes so we gave you the opportunity last year to open our box of Tier One... virtually. If you didn’t get a chance to do this virtual box break, use this link to get to it before you continue this review. Bat knobs and cut signatures once again will rule the day from a secondary market perspective, some pulling in mid four figures. Some of the other cards can be picked up in the after market for a few dollars and that is how the ‘high risk, high reward’ equation comes into play. So when you bust, you can bust big, at least from a monetary value standpoint. Still, this is well within reason for an Ultra Premium product. 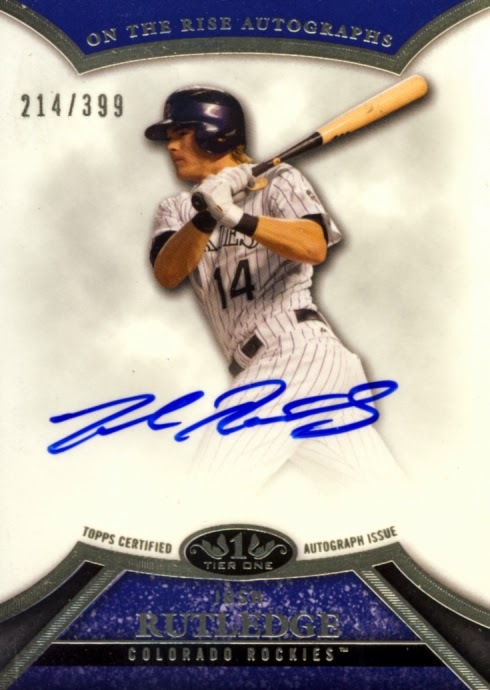 What seems to be on the rise this year are redemptions which limits the shelf life of this year’s Tier One to mid 2016. But all in all, this is a great quick hit of a product, allowing those normally out of the price range of an Ultra Premium product to get in and those with deeper pockets to bust cases to spread the risk. 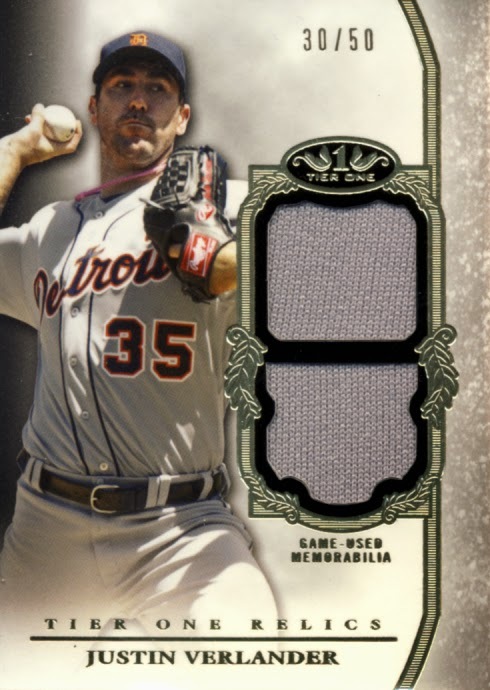 There are some nice design elements here that seem like a cross between Triple Threads and Tribute. The use of open space for the autographs works very well and feels familiar. 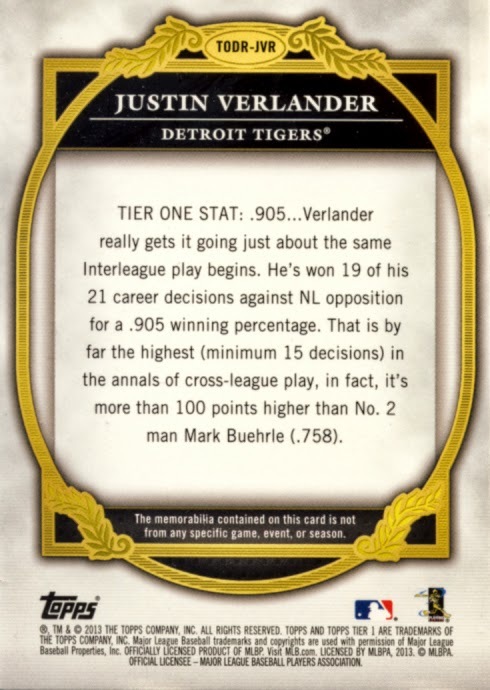 I appreciate that Topps took the time to do a proper write up on the back of these cards. This is a strong checklist and the ratios are pretty similar between the rookies, young players and proven stars. While this doesn’t ensure everyone walks away a winner, this falls well within the range of an Ultra Premium product. In some ways this is like an amusement thrill ride where you wind up waiting close to an hour for a 90 second ride. For some, it is worth the wait and an experience to remember. For others, not so much. But make no mistake; there is much anticipation before the break, exactly what you want out of an Ultra Premium box. But win or lose, at 3 cards it is a short ride. With a full understanding of this product and the fact that even the Crowd Pleaser and On The Rise level hits are still desirable, at least from a player level if not a monetary one, collectors should be satisfied. Unless, of course, you are “one and done” and pull a rough box. That can be brutal but that is the risk you take. That is why, for those with deeper pockets, this is definitely a product to open by the sealed full 12 box case to spread the risk. But one must also keep in mind the amount of Redemptions this year in making your final decision as to whether this year’s Tier One is for you. 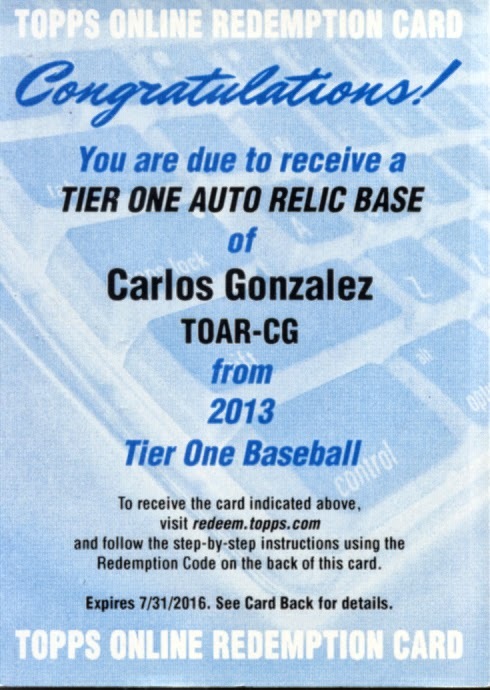 2012 Topps Tier One Baseball is short break but one with some really nice upside potential.